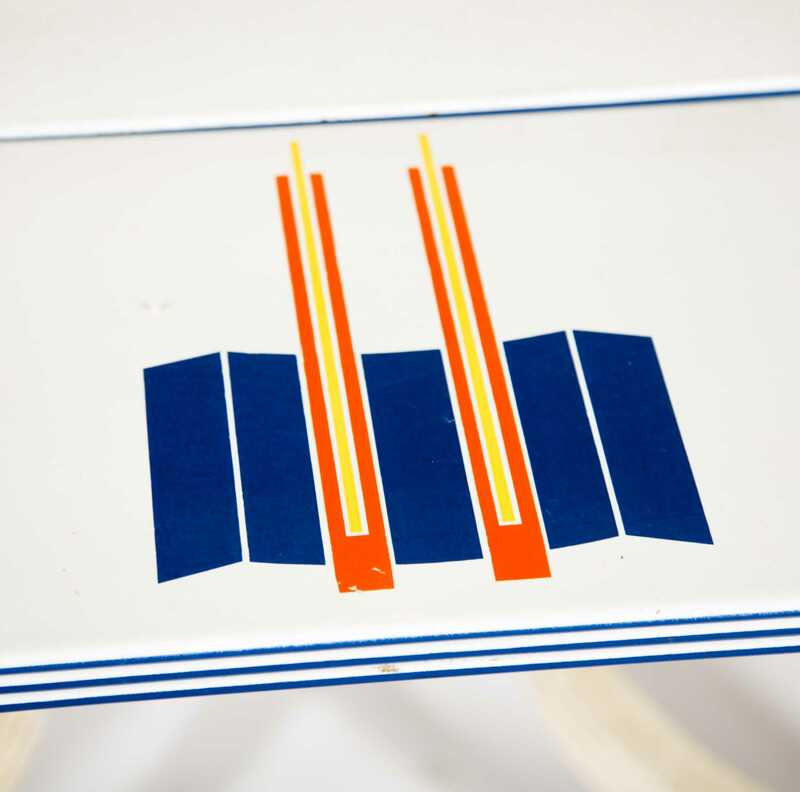 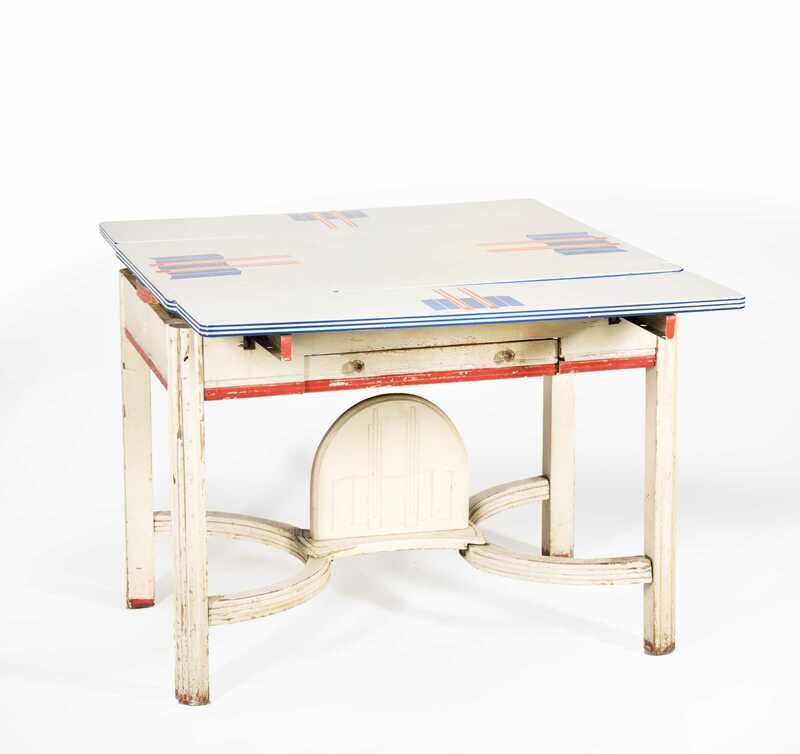 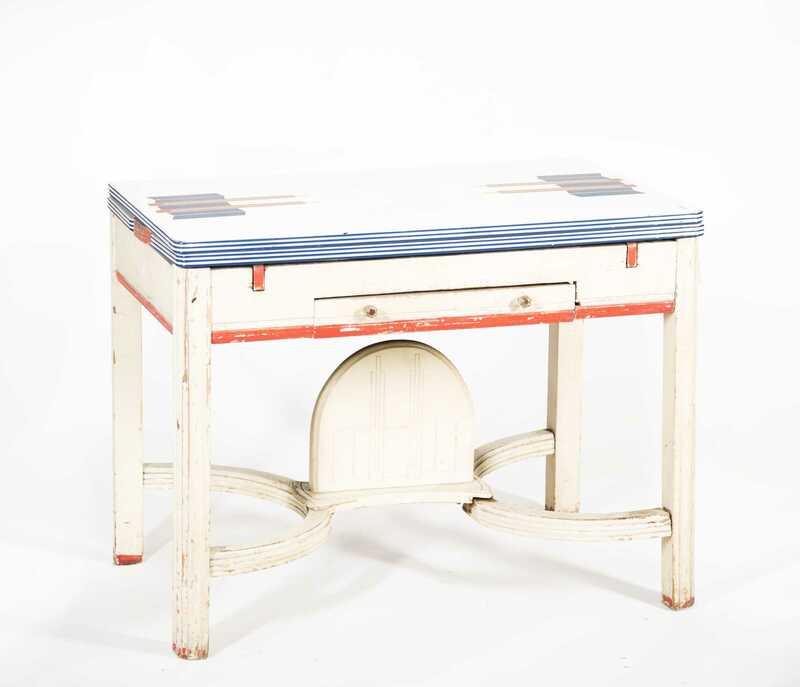 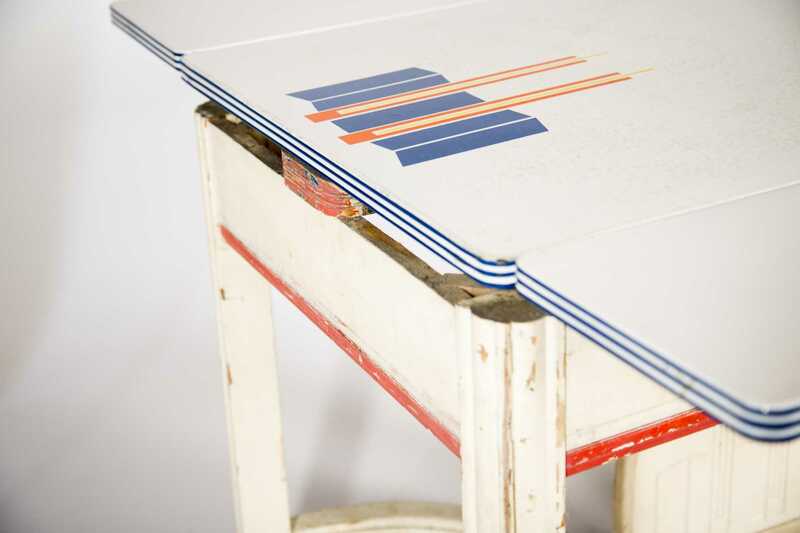 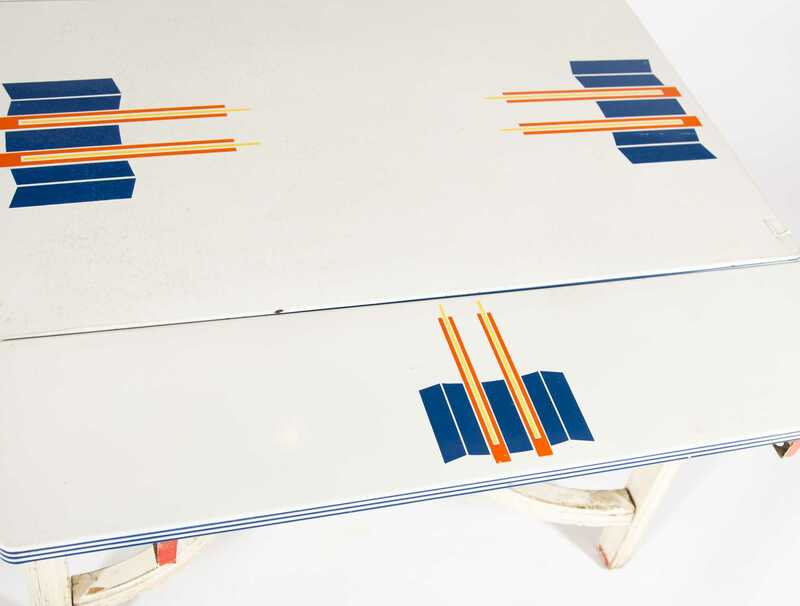 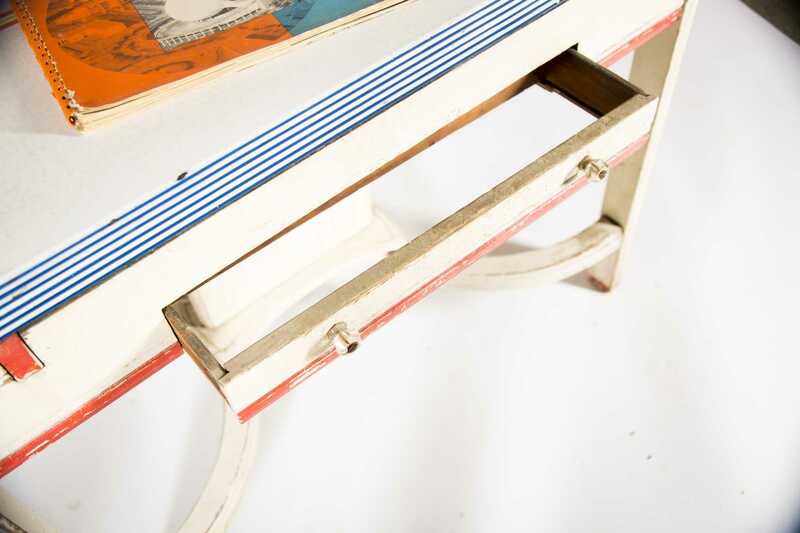 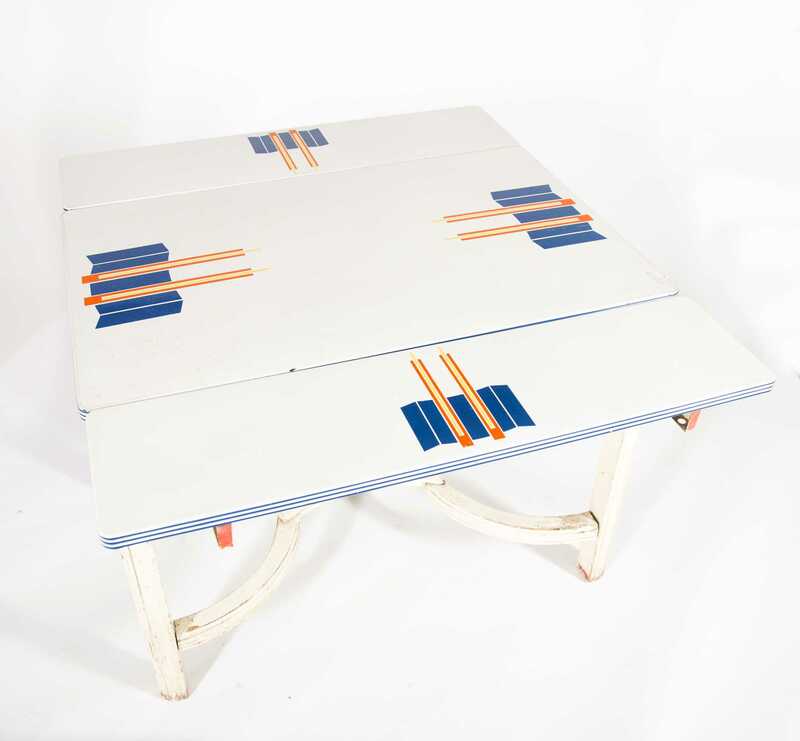 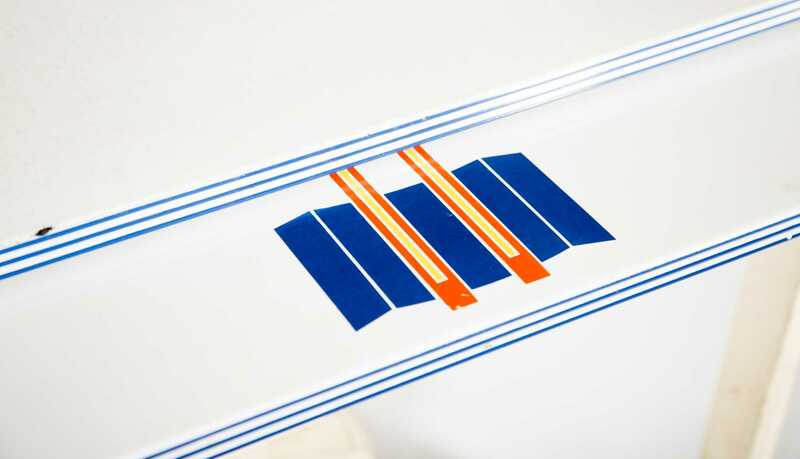 1939 World's Fair Table Featuring The Communication Building, enamel top in white with vibrant orange and blue logo of The Communication Building from the World's Fair in 1939 New York, painted base shows heavy wear but the top is in very good vintage condition, two side extensions fold out from below the top surface to create a larger top surface. 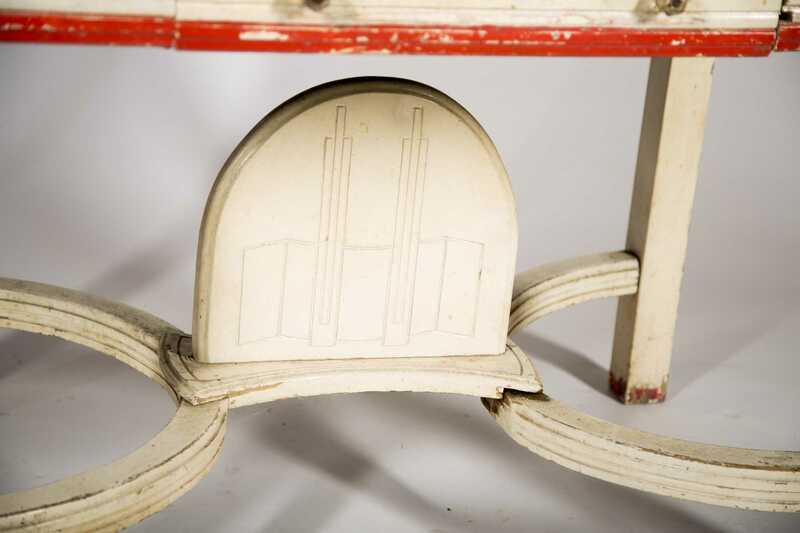 Made by Ingram-Richardson MFG. 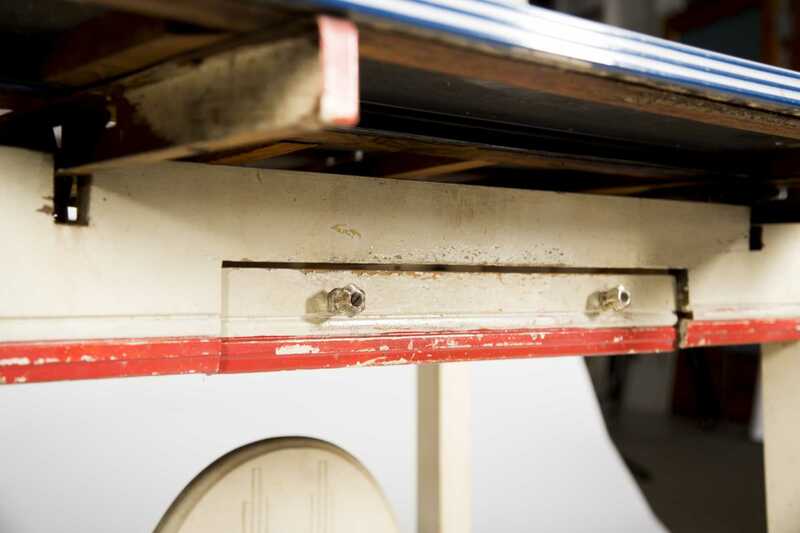 Top measures 25"- 44" wide, 40" length, 31 1/4" height. 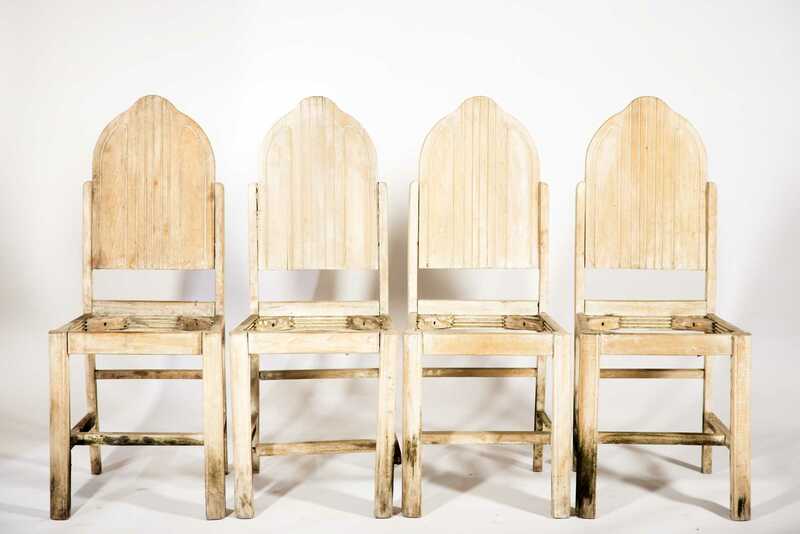 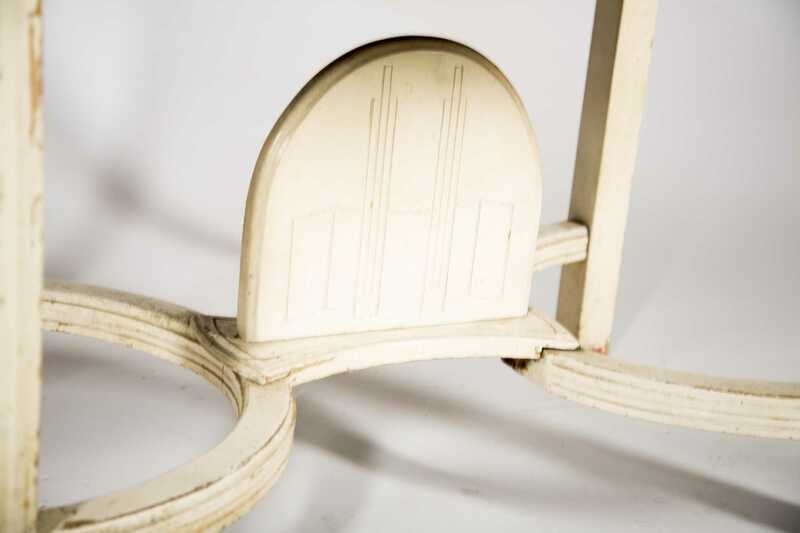 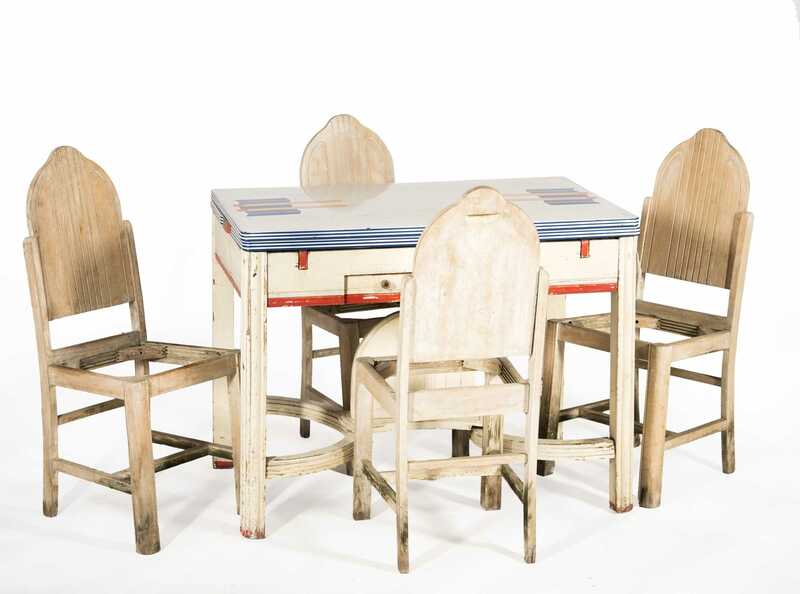 Also comes with four wood painted chairs as-is. 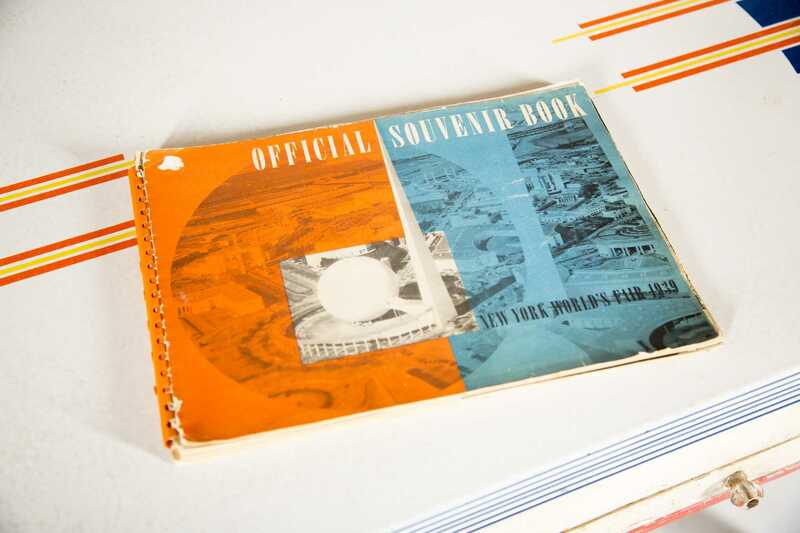 Including World's Fair Souvenir booklet.